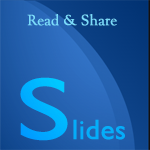 Click to access all Slides.. This presentation describes SQL JOINS, INNER JOIN, NATURAL JOIN, CROSS JOIN, SELF JOIN, LEFT JOIN, RIGHT OIN, FULL OUTER JOIN etc. ❖ JOIN clause combines rows from two or more tables. ❖ creates a set of rows in a temporary table. EQUI JOIN is a simple SQL join. NON EQUI JOIN uses comparison operator other than the equal sign. The operators uses like >, <, >=, <= with the condition. Returns only matched rows from the participating tables. Match happened only at the key record of participating tables. Comparison columns should be equal in both the tables. The INNER JOIN selects all rows from both participating tables as long as there is a match between the columns. An SQL INNER JOIN is same as JOIN clause, combining rows from two or more tables. The SQL LEFT JOIN, joins two tables and fetches rows based on a condition, which are matching in both the tables. The unmatched rows will also be available from the table before the JOIN clause. The SQL RIGHT JOIN, joins two tables and fetches rows based on a condition, which are matching in both the tables. The unmatched rows will also be available from the table written after the JOIN clause. Combines the results of both left and right outer joins. Returns all matched or unmatched rows. Includes tables on both sides of the join clause. The SQL NATURAL JOIN is a type of EQUI JOIN and is structured in such a way that, columns with same name of associate tables will appear once only. The associated tables have one or more pairs of identically named columns. The columns must be the same data type. Don’t use ON clause in a natural join. The SQL CROSS JOIN produces a result set which is the number of rows in the first table multiplied by the number of rows in the second table, if no WHERE clause is used along with CROSS JOIN. This kind of result is called as Cartesian Product. If, WHERE clause is used with CROSS JOIN, it functions like an INNER JOIN. A self join is a join in which a table is joined with itself (Unary relationships), specially when the table has a FOREIGN KEY which references its own PRIMARY KEY. To join a table itself means that each row of the table is combined with itself and with every other row of the table. The self join can be viewed as a join of two copies of the same table. In SQL the FULL OUTER JOIN combines the results of both left and right outer joins and returns all (matched or unmatched) rows from the tables on both sides of the join clause.